We have created a new licensing system to give users flexible control over, and excellent visibility of, their license status and usage. For customers seeking more granular control, reporting and overview of their ESET licenses, we offer the new cloud-based ESET License Administrator. See how licensing works with our newest generation of business products and the new ESET Remote Administrator 6. 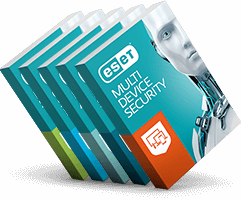 Make use of ESET Unilicense to cover various operating systems. Convert License Key to Username/Password. How is ESET Unilicence applied? Less than or equal to 25 seats: Applies to these endpoints: Desktop computers, laptops, netbooks, terminals, virtual machines, smartphones and tablets. More than 25 seats: Applies to all of the above + file servers.